Giordano is one brand that has become synonymous with beginner riders. Just take a look at its line of road bikes and the reason becomes all too clear. Quality and decent features at wallet-friendly prices are things you just can’t miss in Giordano bikes. Giordano Libero 1.6 Men's road bike is one model that lives up to the brand’s reputation. It combines unbeatable value with performance to fulfill the needs of cycling enthusiasts. From casual rides, exercise routines, to daily commutes, this is a road bike that’s sure to suffice. Interested in getting more information on this particular road bike? Well, join me in this review as I share some of the features, benefits, and other extras to expect from this bike. 700c wheels, Water bottole mounts, pedals, reflectors and kickstand included. Let’s get one thing clear. Few best off-the-rack road bike frames can compare to good custom-made versions. Going custom eliminates numb hands and saves you from back and neck pains. You get an upgrade in fit, quality, performance, and looks. The frame comes in a lightweight aluminum construction. It’s less cumbersome and doesn’t leave you over exhausted after long grueling climbs. The lightweight frame makes Libero 1.6 more maneuverable with great assurance on durability. For instance, it withstands corrosion and aggressive scratching. A traditional diamond geometry offers strength and rigidity without adding weight. The frame has two water bottle mounts, a good feature to keep you hydrated during long rides. The fork is one part that’s most subjected to strain and tension. By using a high-tensile steel fork, the effects are kept to a minimum. You get a tough, long-lasting fork material. Lack of stiffness helps to dampen road vibrations. The ride becomes smooth making the cyclist feel less fatigue. Though it adds a bit of weight to the bike, the steel fork doesn’t make it heavy. 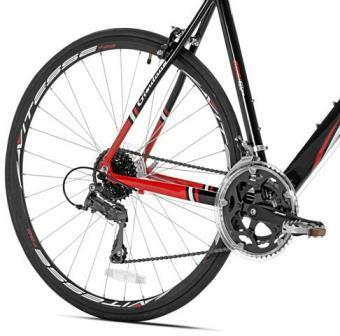 The drivetrain uses Shimano Total Integration gearshift system common in race bikes. It’s a slightly lighter combination unit since the gear levers and the brake levers share a clamp. Gear shifting is made simple without having to take your hand from the handlebars. The gears and derailleurs are all Shimano, which assures good quality and better performance. 16 gearing options is a good range. It makes Libero 1.6 a dependable climber and more forgiving in long distance rides. 700c V-shaped alloy rims with 32 spokes make a strong wheelset. There’s no trade-off with weight because aluminum alloy makes up a major part of the wheel components. You get lighter wheels that accelerate faster and are easy to maneuver. The bike uses 25mm endurance tires that have one of the most durable rubber compounds. These are heavy-duty performers ideal for daily commutes or fitness rides. A tough casing provides additional puncture resistance and extra mileage for your ride. The wheels have a quick-release mechanism. You can fit and remove with ease. It makes the bike quick to fit inside a car trunk and easy to transport. What’s more, you get an easy time fixing flat tires. Want to change the appearance of a bike without a weight penalty? Well, a threadless stem is your best friend. It’s a hassle-free adjustment system that makes your bike feel lighter. One huge advantage is that the centering can be adjusted without interfering with the height of the bars. You can swap, flip, and match stems using a single Allen wrench. Libero 1.6 is for entry-level riders who have a tight budget. It’s a men’s bike available in 3 different sizes to fit riders from 5 feet 1 inch to 6 feet 5 inches tall. Giordano Libero comes in a box packed with mechanical parts that need fitting together to make it ready for the road. The assembly process is a bit tricky but easy owing to the lightweight construction. Parts that require assembly are the handlebars, pedals, front wheel, and seat. Minimal screwing and cutting are involved in the process. It takes just a wrench and air pump to complete the assembly. Gear may need to do gear tune-up in the process. Q: What sizes and fit are available for this road bike? A: The bike is available in small, medium, and large sizes. The small size fits 5 feet 1 inch to 5 feet 8-inch riders. Medium size is for 5 feet 8-inch to 6 feet riders. The large size accommodates 6 feet 2-inch to 6 feet 5-inch tall riders. A: Weight depends on the size. The small, medium and large sizes have a weight of 26 pounds, 26.05 pounds, and 29.7 pounds respectively. It includes the additional weight of the kickstand, reflectors, and pedals. Q: Can I assemble the bike by myself? A: Yes, the instructions are pretty straightforward. What you need is different size Allen wrenches and you’ll be good to go. 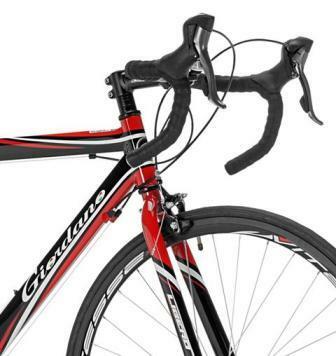 Giordano Libero makes a good deal, whether you want it for a tour ride or daily commute. 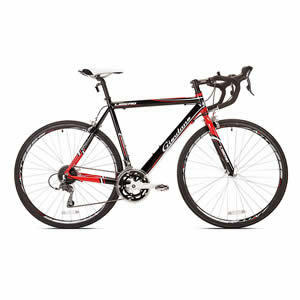 You get decent features and performance at a fraction of the cost of most road bikes out there. A little upgrade for the tape and pedals might be a good consideration. 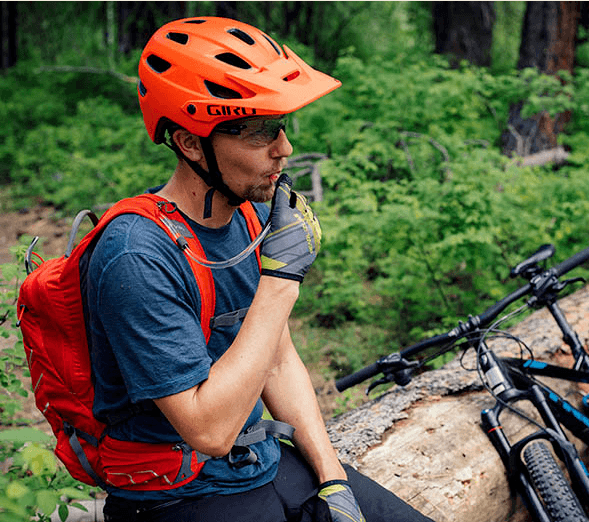 Other than that, you get a quality, lightweight package that accommodates the needs of both short and tall riders. 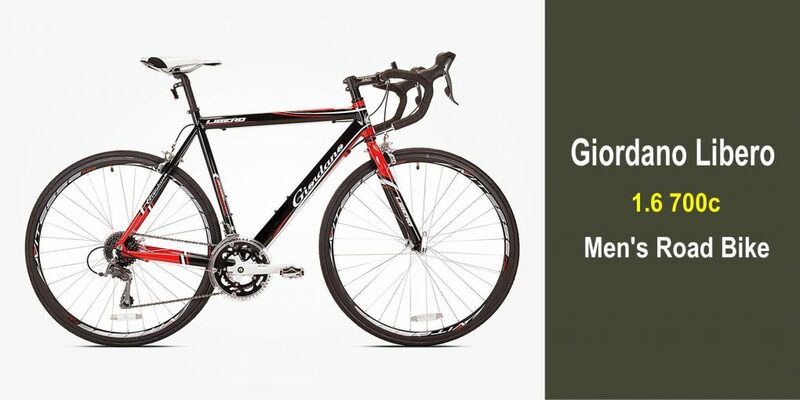 It’s a well thought out road bike that will offer an awesome riding experience.